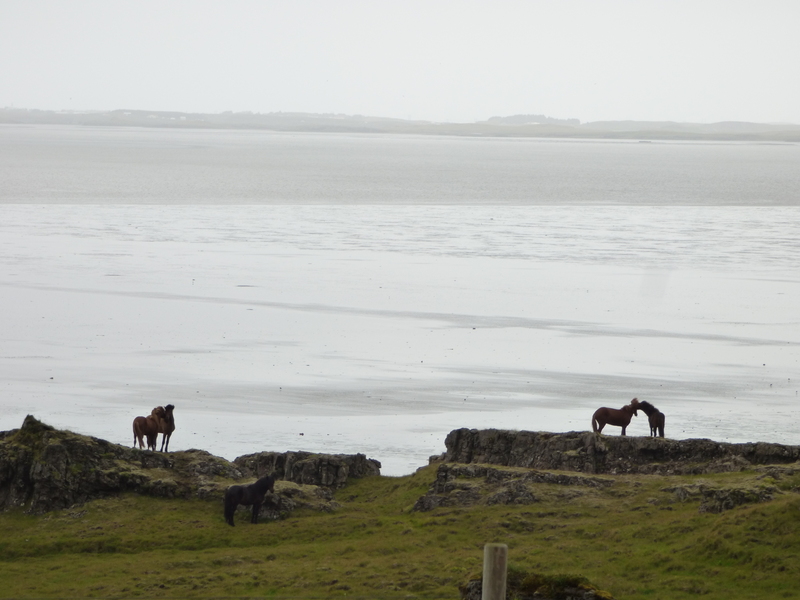 After our night sleeping in the tent at Stafafell, we headed back along the South Coast. 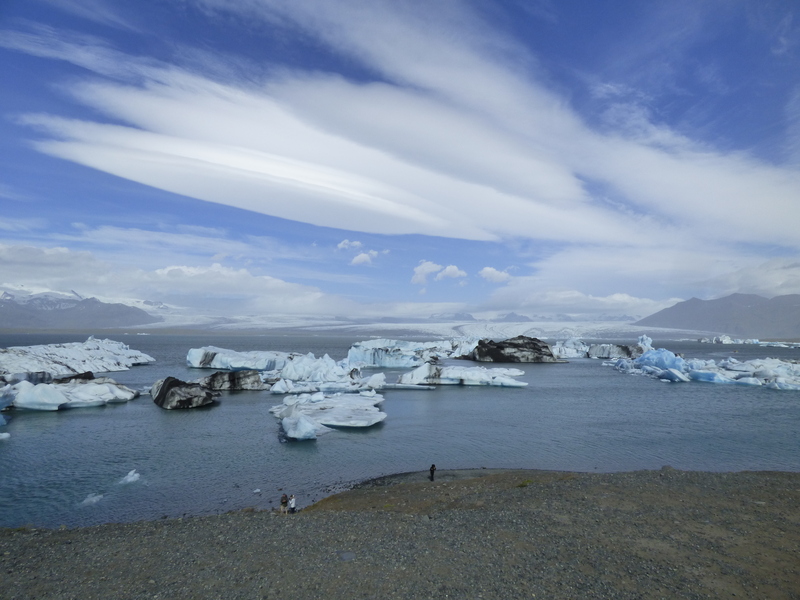 We were planning to stop at Stokksnes Beach, which is another black sand beach with views of Vestrahorn Mountain, however, we weren’t aware of the cost to enter. It was quite expensive and we ultimately decided it wasn’t worth it. The reason this beach is expensive is because it’s actually on private property. 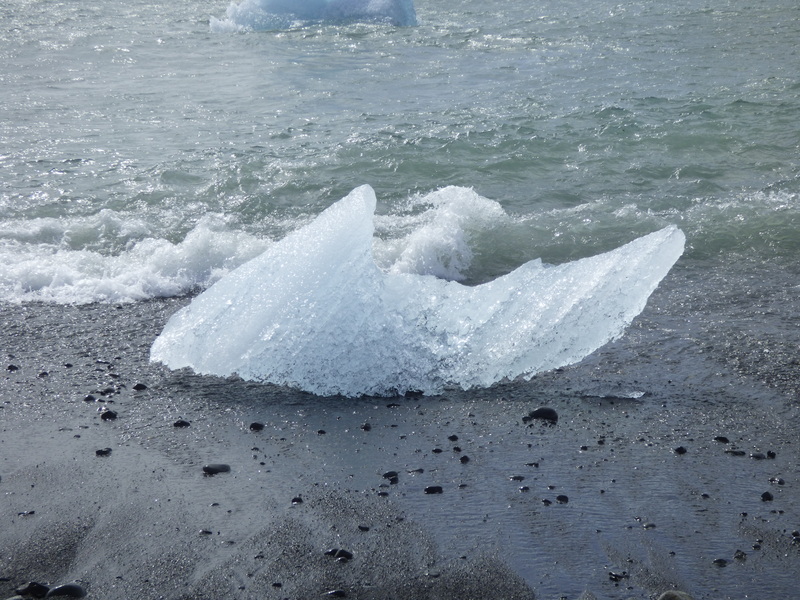 Thankfully, it wasn’t very out of the way, so we just continued on our way to our first stop of the day at Jokulsarlon Lagoon. 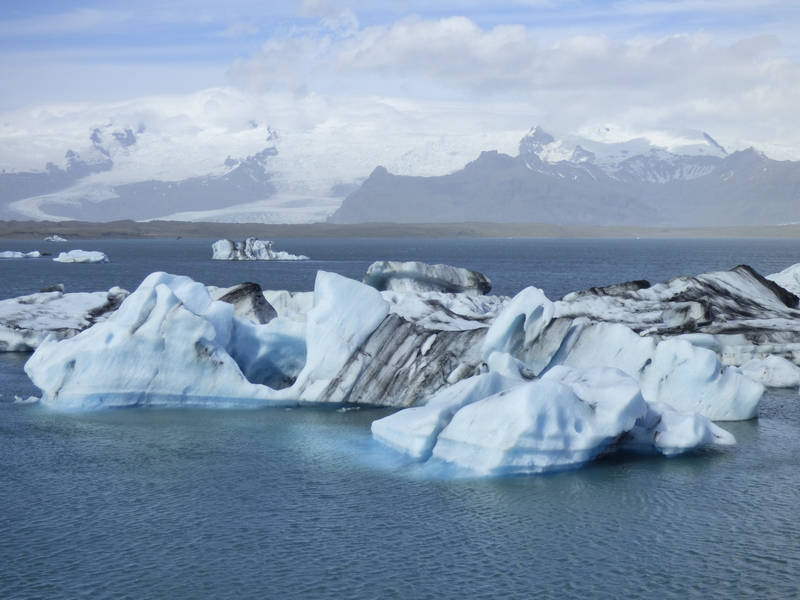 Jokulsarlon Lagoon, more commonly known as Iceberg Lagoon, is a small lake filled with glacier water and pieces of icebergs that have fallen off the glacier. 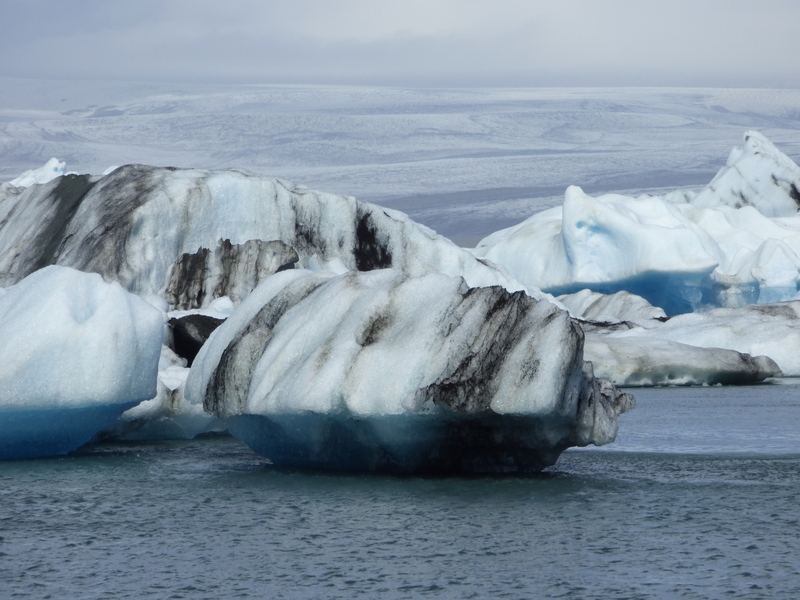 It is similar to Fjallsarlon, which we had visited the previous day, but much bigger and with more icebergs. 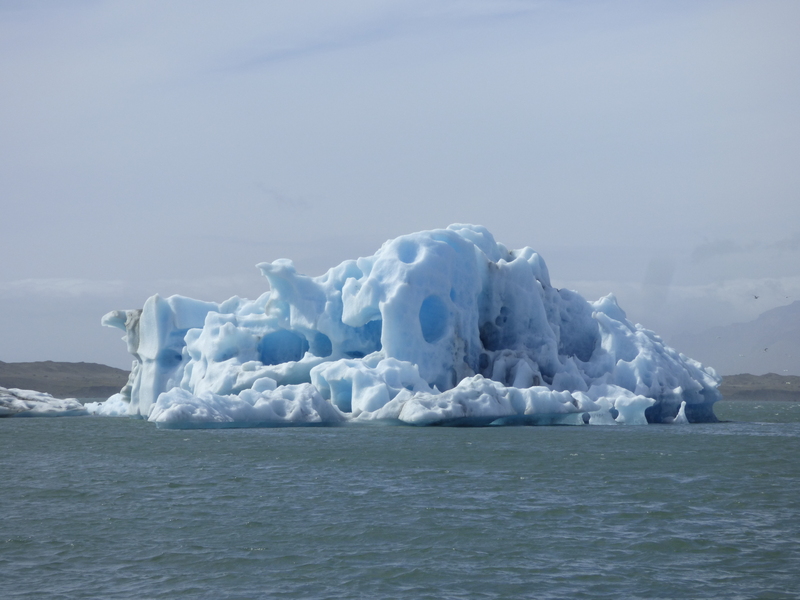 Since we arrived a bit earlier than we had planned, we spent some time walking around and taking pictures of all of the icebergs. They are so incredibly beautiful! We had purchased tickets in advance for an amphibian boat tour, so after walking around we boarded the boat. 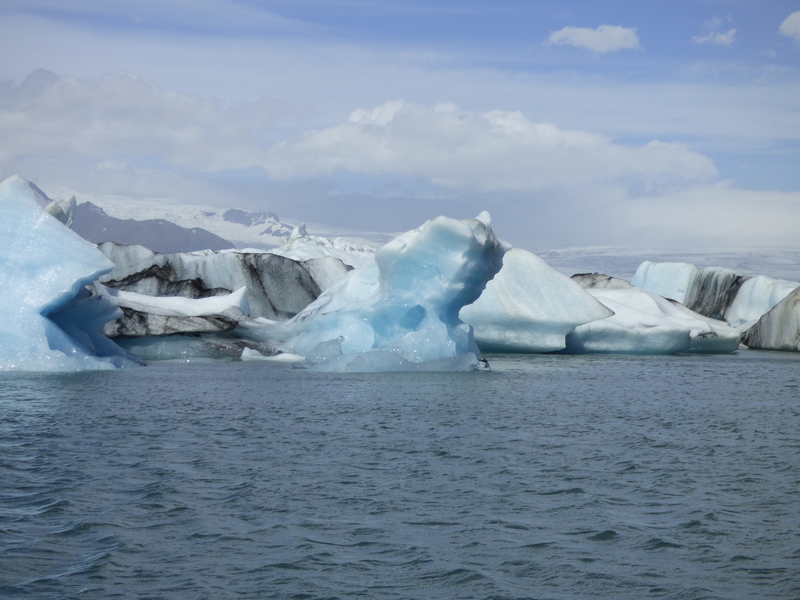 There are multiple options for boat tours and while some of the options allow you to get really close to the icebergs (like close enough to touch), the amphibian boat tour still gets quite close and is the less expensive choice. 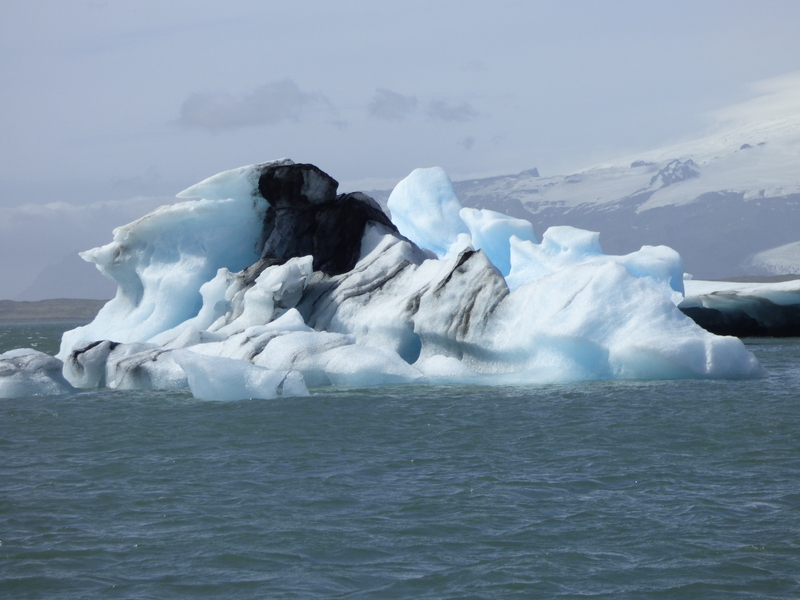 The boat took us around the lagoon and our guide shared information about how the icebergs form. 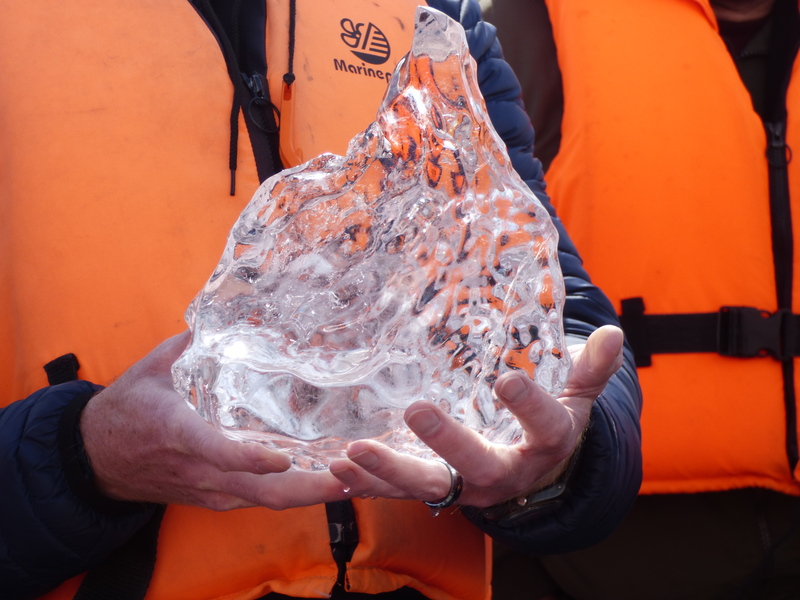 We even got to taste part of an iceberg which was 10,000 years old! Our guide joked he hoped it was the oldest thing we had ever eaten. 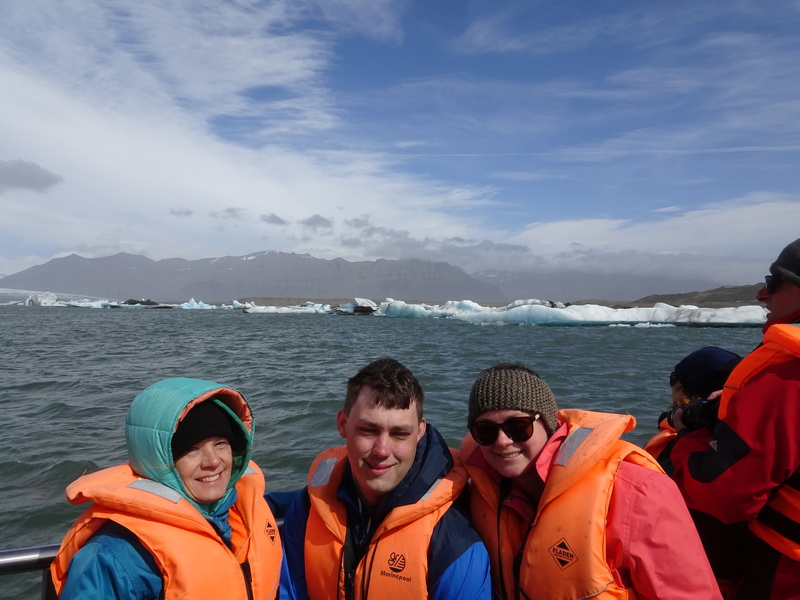 We enjoyed the boat ride and would definitely recommend it- but dress warmly because it can get quite windy and cold! 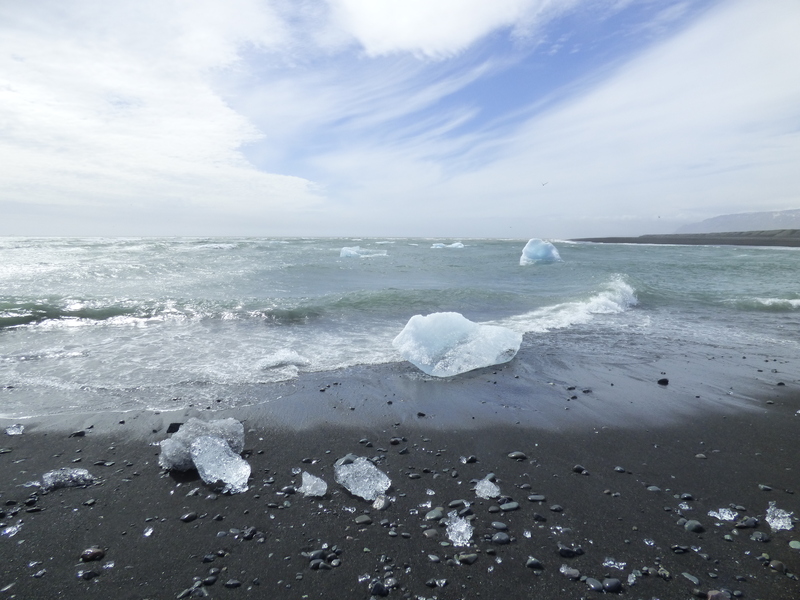 Across the road from the lagoon is Jokulsarlon Beach, which is generally known as Diamond Beach. We followed a path from the lagoon parking lot below the bridge and came out at the beach. 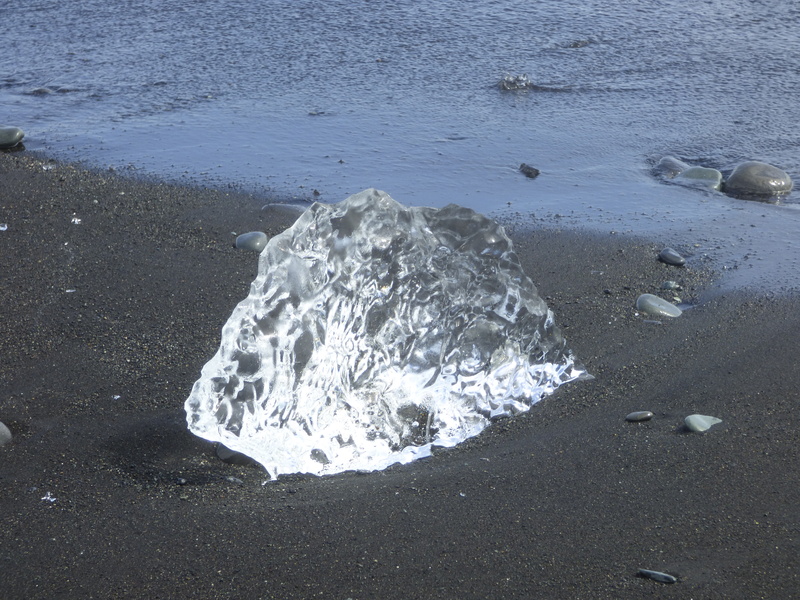 It’s known as Diamond Beach because when pieces of ice break off the icebergs in the lagoon, they flow down the stream into the ocean, where they are then sometimes pushed up onto the black sand beach by the waves. 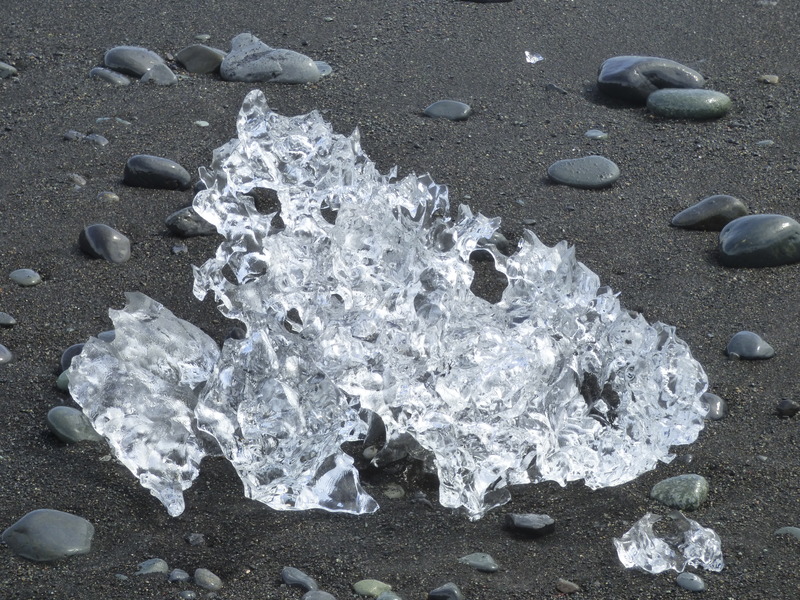 These pieces of iceberg have begun melting, so they often look like diamonds glittering on the sand. The day we went, there weren’t many larger pieces, but it was still cool to walk along the beach and look at the smaller pieces contrasting with the dark sand. 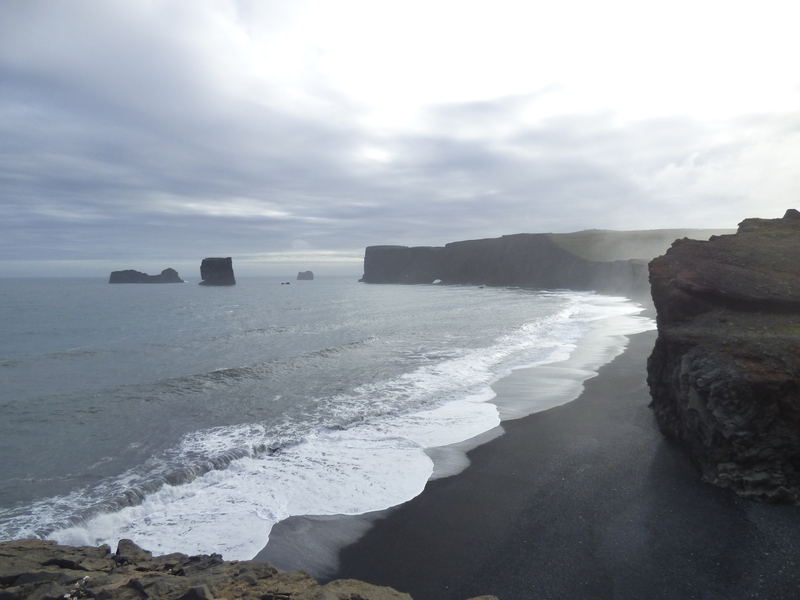 From Jokulsarlon, we drove back along the coast further until we reached the small town of Vik. 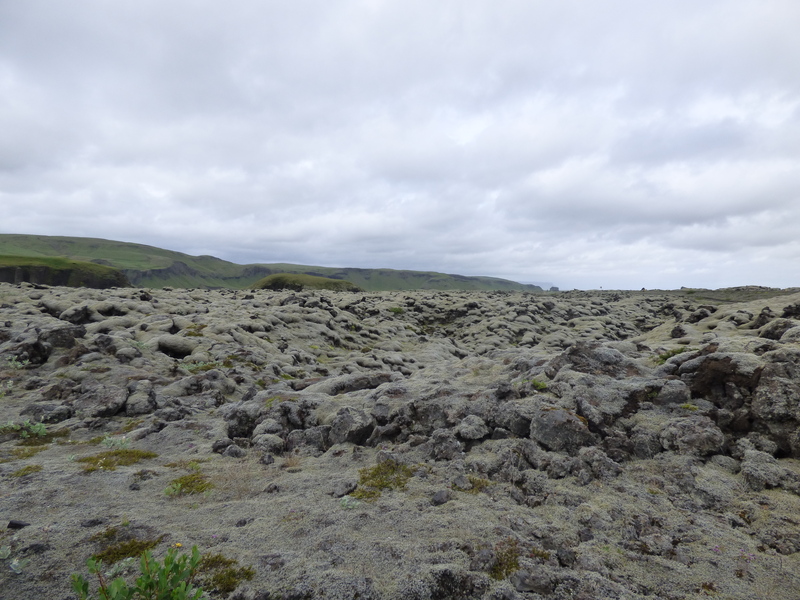 Along the way, we passed miles and miles of lava fields covered with moss. 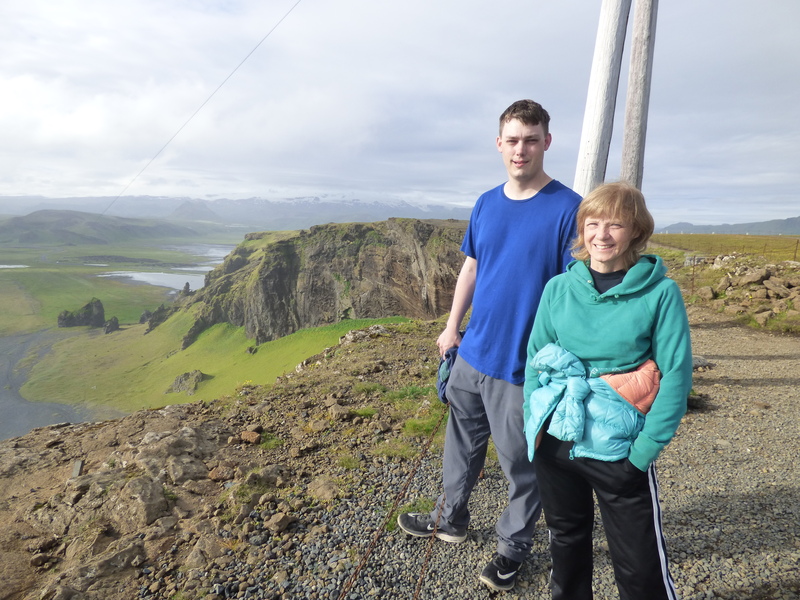 We had hoped to take the 4:00 ferry over to Westman Islands, but waited too long to book our tickets and therefore the only tickets available were for the tickets at 10:00 in the evening, so we had a lot of time to kill before our ferry ride. 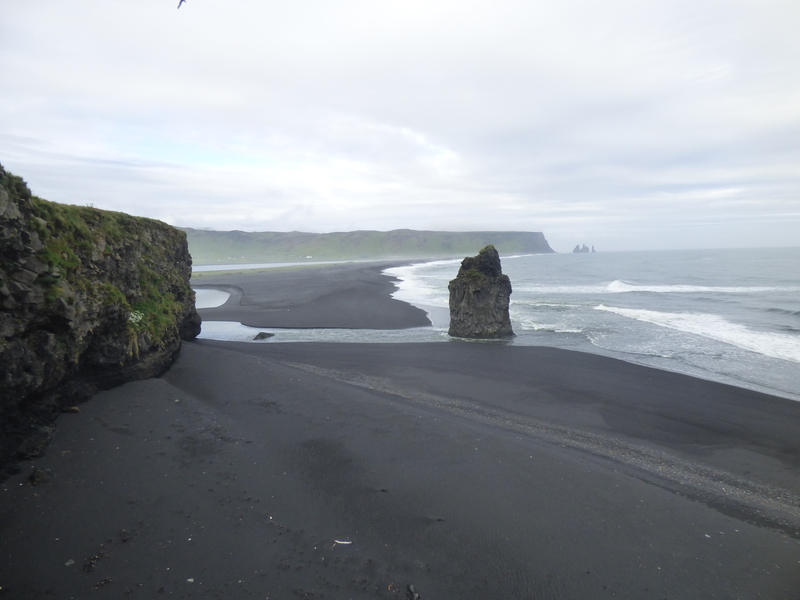 We stopped in Vik, which for some reason I thought was a larger town/city but in actuality is very small. We stopped at a gift store and restaurant that was also an information center to find some activities in the area to do. 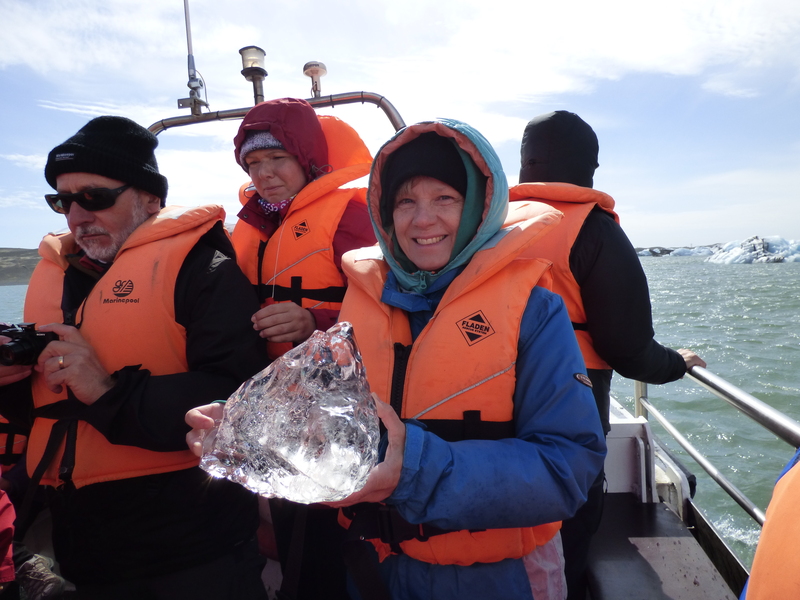 The woman there showed us a map with the main attractions, most of which we had already done before we headed further east along the coast. There was one place we hadn’t been yet, though, and she highly recommended it, so we made plans to go there after we ate dinner (first meal eaten out so far in the trip!) at the attached restaurant. 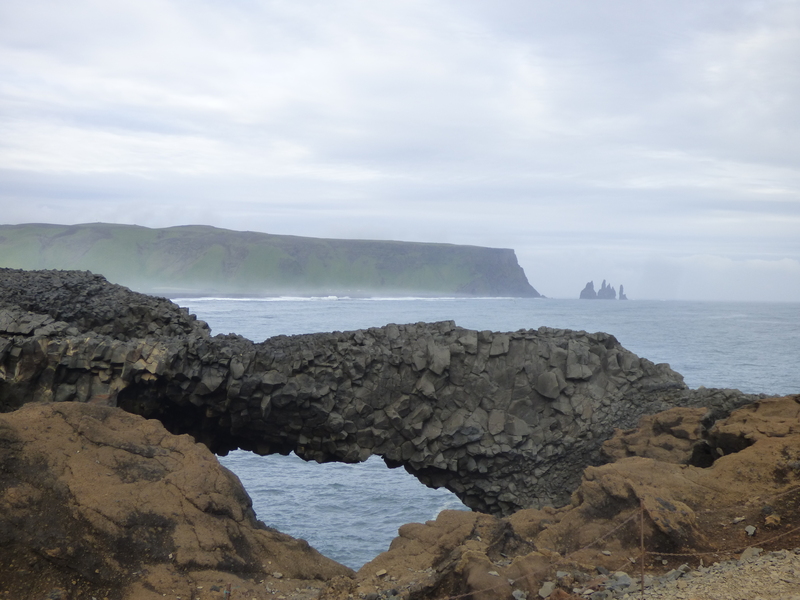 From Vik, Dyrholaey is a short drive away. 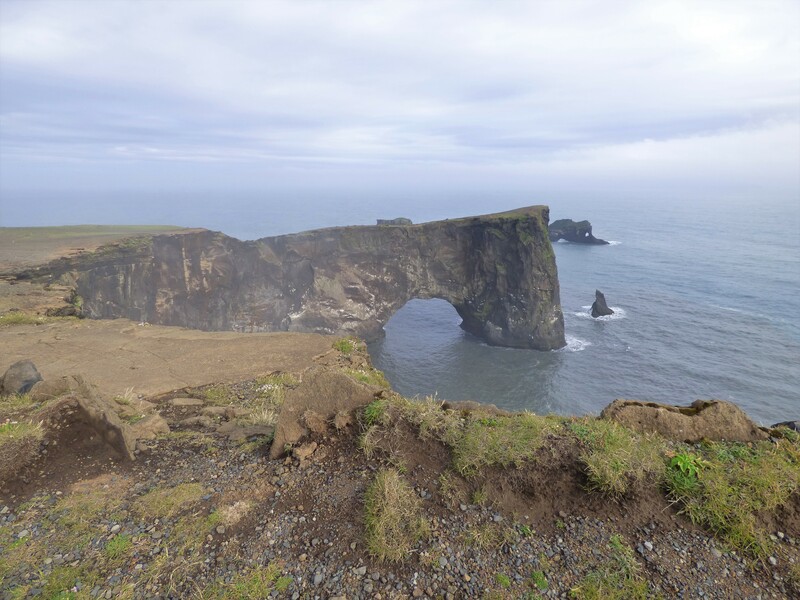 Dyrholaey is a small peninsula with fantastic views of the ocean and surrounding area, as well as a popular place for puffins. We drove up to the parking area. The woman at the information center had said it was better to park below and then hike up to the lighthouse above, since the road was quite bad. She made it seem like it was a short walk. 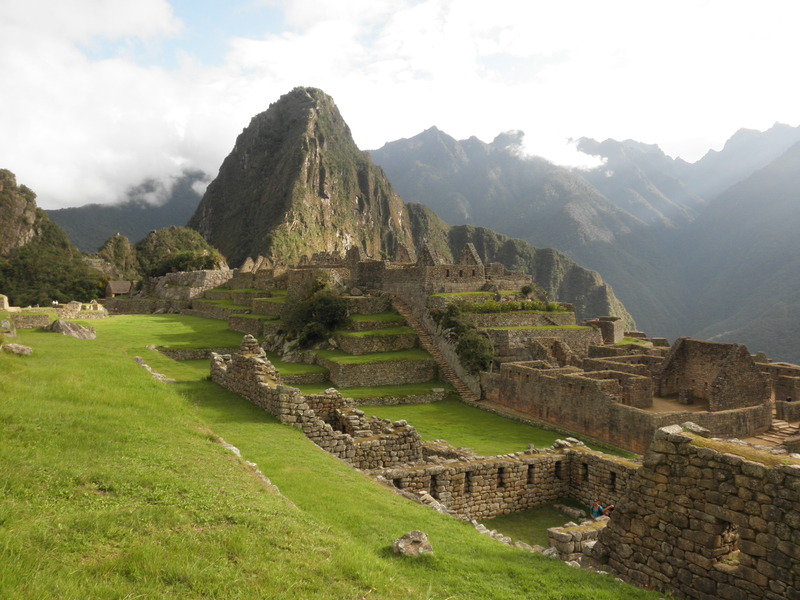 Although it was not a particularly short, and certainly not easy, walk up, we enjoyed the hike and the views along the way. 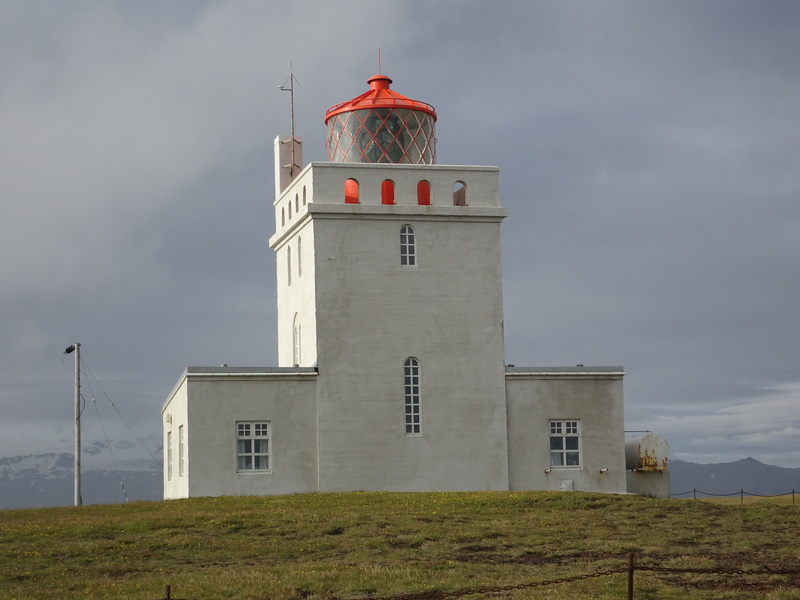 We spent some time around the lighthouse, hoping to see a puffin, but it was likely a bit too early in the evening to spot any. We walked back down, and as we were heading to our car, saw a group of tourists taking lots of pictures of something. Hoping it was a puffin, we rushed over there. We got a peek of the puffin before it decided to hide in a location that was completely hidden from our view. After Dyrholaey, we headed to Landeyjhofen, which is where we boarded the ferry that would take us over to Westman Islands. Because we took the 10:00 PM ferry, it was fairly empty and we were able to get a seat at a table in the cafe section. We played a couple of rounds of cards and napped on the way over. Once we arrived, we went to our Airbnb immediately to check in and go straight to bed. Where we stayed: Gabriel’s Place (Airbnb)- this was one of our favorites of the trip, as well as one of the cheapest! Costs: We ate breakfast at the campsite and packed a lunch. 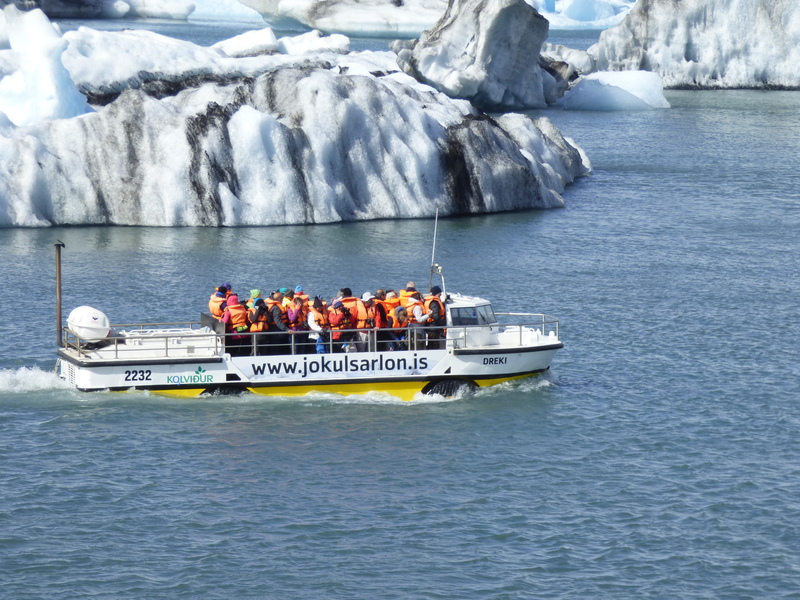 The Amphibian boat tour was 5700 ISK/person (about $52 USD/person). 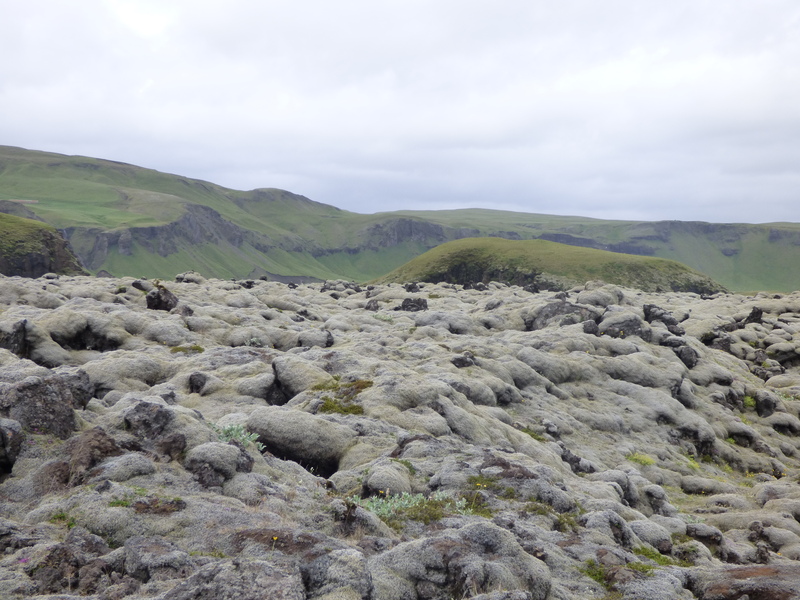 We also had hot chocolate at Jokulsarlon for about $5 per person. Our meal out in Vik was about $25/person for burgers. The ferry cost about $25USD/person round-trip. If you can afford it and have the time, we would recommend the amphibian boat tour. 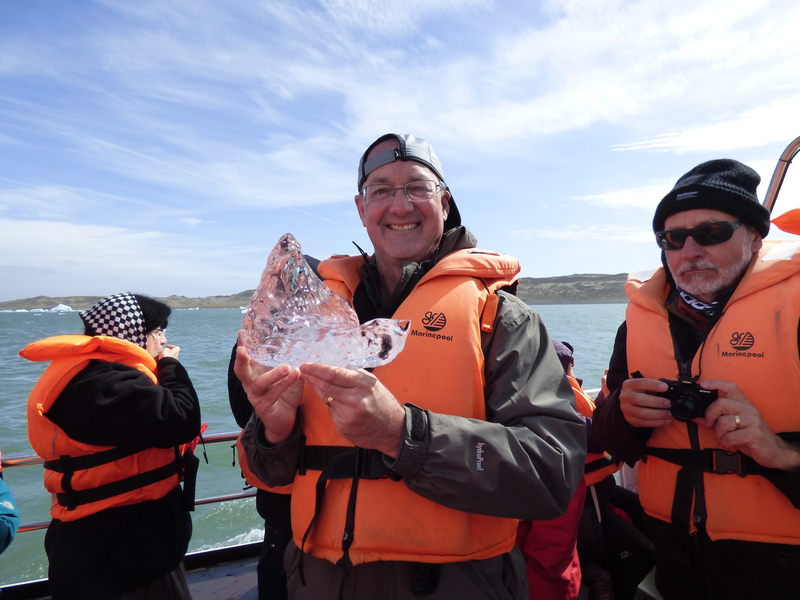 It’s a fun way to see more of the icebergs and lagoon, as well as learn a bit about how the iceberg lagoon was formed. Be sure to dress warmly, as it is windy out on the water and likely cold as well! 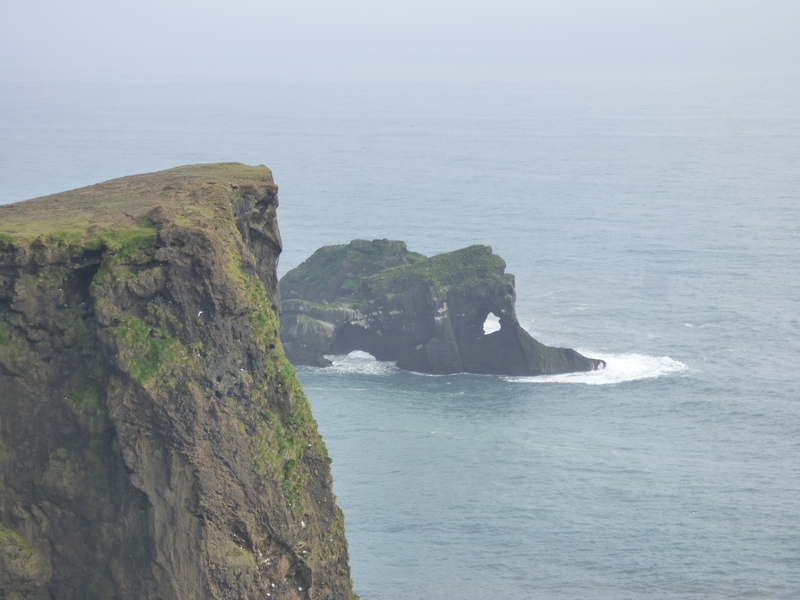 Dyrholaey was not on our original list of things to see, but we really enjoyed it and the views were truly spectacular! If you choose to hike up to the lighthouse from the parking area below, be aware that it’s a pretty steep hike and be sure to wear sneakers or hiking boots so you don’t slip. Book both the amphibian boat tour and ferry tickets well in advance. We had booked the boat tour and therefore didn’t have any problems, but we neglected to get our ferry tickets in advance and were stuck with the 10:00 PM ferry over.